Crane Co.�s Fluid Handling Group, comprised of the Crane Valve Group, Crane Supply and Crane Pumps & Systems, with sales of more than $1 billion globally, is well recognized as a leader in providing industrial fluid control solutions for critical performance applications, where engineered solutions matter. To better serve customers and more closely align to key target industries, Crane Co. has announced a realignment of many of its existing Valve Group brands into market focused businesses concentrating on the Chemical & Pharmaceutical and Oil, Gas & Power industries. Crane will use the new customer-focused structure to leverage its global position and drive growth of its key brands into these focused industry segments. Crane ChemPharma Flow Solutions brings together the Xomox, Resistoflex, Saunders, Revo, Depa and Elro brands. 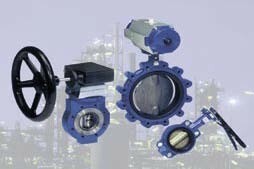 Under these brand names, Crane designs, manufactures and sells highly engineered fluid handling products including: Sleeved Plug Valves, Lined Valves, High Performance Butterfly Valves, Aseptic and Industrial Diaphragm Valves, Actuation, Lined Pipe, Fittings and Hoses, and Diaphragm and Peristaltic Pumps. Aligning thesestrong brands allows Crane to offer its customers fluid handling solutions for the most demanding, corrosive, erosive and high purity applications within the chemical and pharmaceutical industries and in applications where chemical processes are used. Crane Energy Flow Solutions brings together Crane Gate, Globe & Check, Flowseal, Center Line, Pacific, Stockham, Duo-chek and Noz-chek brand names along with Crane�s Australia manufacturing & distribution business. These brands are globally recognized for providing solutions to difficult applications and driving lifelong low cost of ownership. Key products include: High Performance Butterfly Valves, Resilient Seated Butterfly Valves, Wedgeplug Valves, Pressure Seal Valves, HF Acid Valves and Engineered Check Valves. The combination of these products aligns some of the most widely used and specified products for the oil, gas & power industries. Crane ChemPharma Flow Solutions and Crane Energy Flow Solutions will continue to support targeted marketing and distribution channels to supply these focus markets in addition to the other key markets in which they do business today, including building services, bio-fuels, mining, marine and others. Crane Valve Services and Crane Fluid Systems (Crane Ltd.), also part of the Crane Valve Group, will not be impacted by the realignment and will continue to bring top quality services and products to the market. Crane Valve Services will continue to focus on nuclear power, valve testing technology, products, and monitoring solutions, and services and will continue to have responsibility for all Crane brands in the nuclear power market. Crane Fluid Systems (Crane Ltd.) is a recognized leader in supplying innovative valves, water couplings and fittings to the utility and building services industries in the UK and Middle East. Crane Co. is a diversified manufacturer of highly engineered industrial products. Founded in 1855, Crane provides products and solutions to customers in the aerospace, electronics, hydrocarbon processing, petrochemical, chemical, power generation, automated merchandising, transportation and other markets. The Company has five business segments: Aerospace & Electronics, Engineered Materials, Merchandising Systems, Fluid Handling and Controls. Crane has approximately 12,000 employees in North America, South America, Europe, Asia and Australia. Crane Co. is traded on the New York Stock Exchange (NYSE:CR). For more information, visit www.craneco.com. 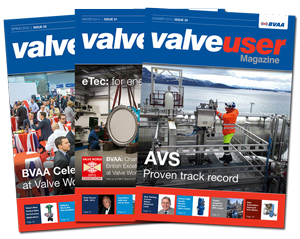 �VALVE USERS� - BEWARE IMITATION PRODUCTS! VALVE USERS - BEWARE BOGUS AGENTS!